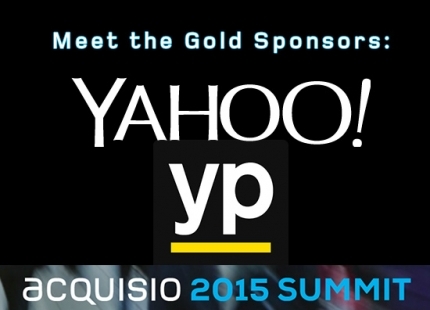 The Acquisio Summit is exactly 1 month away, it’s about time we formally introduced our Gold Sponsors: Yahoo! and YP. The Summit is primarily sponsored by Bing, our Platinum Sponsor, but you will be seeing a lot from the teams at Yahoo! and YP throughout the event. Not only are we proud to have some of the biggest names in search marketing attending and sponsoring the event, but both our gold partners are especially in sync with our new direction and company focus. Both Yahoo! and YP have made some big moves recently. Yahoo branched out with Yahoo Gemini and YP intends to separate its digital advertising and print directory businesses to better serve their local clients. Acquisio is excited to make our own big announcements at the Summit, and to discuss some of the upcoming integrations and offerings in association with our sponsors. As an attendee you will be the first to hear about some of the big shifts in the industry from Acquisio and all our sponsors. Here’s a quick preview of some of the speakers from the event and what you can expect to hear. Faith Murphy, Director of Channel Management at Yahoo! will be part of the “Mastering the Local SMB Market,” panel early day 1. With over 12 years of search engine marketing experience, Faith Murphy has built a successful reputation via managing highly effective business relationships, managing cross functionally for both early stage start ups and premium clients, building performance managed teams and developing go to market programs. In her current role as the Director of Reseller Partner Management and Small Business Sales at Yahoo, Faith and her team are responsible for online sign-ups and for working closely with Yahoo premium partners who sell locally-driven advertiser products to small-medium businesses across the Americas. Joe Stephens, Director, Native Demand Strategy, at Yahoo!, will address attendees at lunch on Wednesday the 29th. Joe Stephens is Director of Native Advertising Demand Strategy at Yahoo. He partners with Yahoo’s advertisers, sales and account management teams to bring actionable insights that drive maximum performance for native advertising. He works closely with product and marketplace teams to develop best practices for YahooGemini. Joe has 15 years of digital advertising experience including agency and search engine client services. Luke Edson, Senior Vice President, National Markets Group, at YP will address attendees at lunch on Thursday the 30th. Based in YP’s NYC office, Luke joined YP in April 2013 bringing deep experience in the digital media industry and a track record of delivering customer, revenue and profit results. Prior to YP, Luke was SVP and GM at Cox Digital Solutions where he managed all aspects of the Cox Digital Solutions P&L including: sales, product, technology, publisher sales, account management and ad operations. Cox Media Group acquired Internet Broadcasting System’s IB Local Network where Luke served as Chief Revenue Officer. There he led the transformation of Internet Broadcasting’s TV website sales representation business into a viable and growing local advertising network. Come learn from Faith, Joe, Luke and some of the other biggest and brightest in the search marketing and local advertising industries! Yahoo is a guide focused on making users’ digital habits inspiring and entertaining. By creating highly personalized experiences for our users, we keep people connected to what matters most to them, across devices and around the world. In turn, we create value for advertisers by connecting them with the audiences that build their businesses. Yahoo is headquartered in Sunnyvale, California, and has offices located throughout the Americas, Asia Pacific (APAC) and the Europe, Middle East and Africa (EMEA) regions. For more information, visit the pressroom (pressroom.yahoo.net) or the Company’s blog (yahoo.tumblr.com). YP is a leading local marketing solutions provider in the U.S. dedicated to helping local businesses and communities grow. 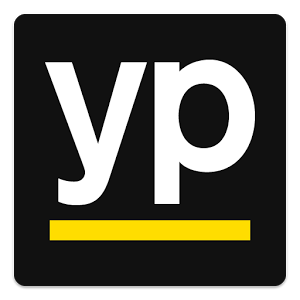 YP’s flagship consumer brands include the popular YPSM app and YP.com, which are used by more than 70 million visitors each month in the U.S. (Internal Data, January 2015). YP solutions include digital and print based local search, presence management, direct marketing, and display advertising. YP solutions and services are backed by thousands of media consultants and customer service professionals in local markets across the U.S. with relationships spanning more than half a million advertisers.